President of the Senate, Dr. Abubakar Bukola Saraki, has described President Muhammadu Buhari’s reaction to Tuesday’s election of National Assembly leaders as a “great mark of leadership” and a demonstration of the President’s commitment to democracy. In a statement issued by his media office on Wednesday, Dr. Saraki commended President Buhari for remaining steadfast in his commitment to the principle of non-interference in National Assembly politics even in the face of great pressure on him to act otherwise. “This shows that Mr. President is a man of great conviction who, in his own words, belong to everyone and to no one,” the statement reads. 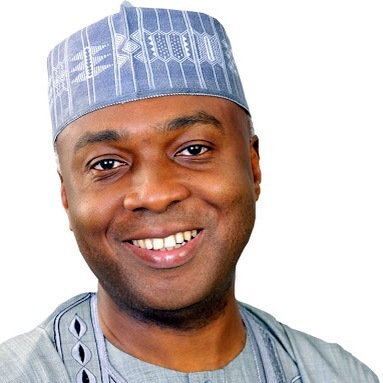 On a similar vein, Dr. Saraki also denies that he had a plan to decamp to the People’s Democratic Party, describing the insinuation as ” absurd and laughable.” According to him, “it is just cheap blackmail by political adversaries who want to call a dog a bad name in order to hang it. And those making such desperate allegations should remember that I willingly left the PDP on matters of principles when the party was in power. Is it now that the party is out of government and in opposition that I will now return having worked so hard for my party in the last general elections,” he queried. He stated his commitment to the All Progressives Congress (APC), saying he remains a loyal party member and a leader of the party, committed to contributing his quota to building the party and helping it to deliver its promise of change to Nigerian people. He stated his readiness to embrace every member of the Senate regardless of their political leanings in the leadership elections just concluded.